You say you are out to change the world [hippy] but can you prove it? Alnoor Ibrhim’s blog post provides a nice glimpse of how three different organizations are playing with one of civil society’s most notorious fetishes – measuring impact. 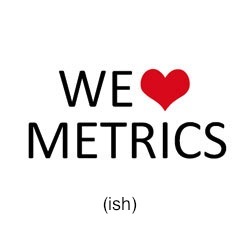 Every time someone says ‘let’s talk about measuring impact’ and ‘metrics’ I kind of want to self harm. Why? Perhaps because it seems ‘impact assessment’ has become something of a misunderstood and applied civil society mantra instead of a potentially useful heuristic. Being able to measure and express impact (and thus organizational relevance) is undoubtedly a good idea. Civil society has a rather mediocre track record of communicating it’s real value to the world. The most often complaint is ‘it’s just so hard to measure what we do.’ Perhaps. Or, perhaps, organizations are simply trying to measure the wrong thing in the wrong way. Everything is countable, after all. Or, perhaps, civil society is not employing the right vocabulary to frame what we should be measuring, which I seem to argue is behavior change. Yet another perhaps, to take a ‘follow the money’ approach: perhaps we are bad at measuring because for most of civil society’s history, we were not asked to. Funds were charitable. Donor absolution and responsibility ended as coins dropped into hungry palms (or their proxy), at which point it’s simply not nice to ask for a receipt. So where did this number fetish come from? It seems to have started when the industrial era hit philanthropy like scab decking a striker. This era marked the rise of ‘professional’ (read industrial) civil society as it became de rigeur for business-folks to sit on a Board. And to ask well-suited questions as they sought to apply business terms and processes to social change. As capitalism demands, ‘growth’ became important. Donors (first Foundations and then, in the last 20 years or so, Individuals making larger gifts) began receiving more requests and had to make harder decisions. Terms like ‘Social Return on Investment’ became popular because numbers made everything so much easier. Decisions could be made based on what measurable promises an NGO offered to deliver over the course of their strategic plan. By far and large, this shift has delivered a lot of good. We are more transparent as a sector and we are getting better at measurement. As we do so, it might be an opportune time to reassess the ‘measure and deliver to the plan model’ that drives funding decisions for many donors – and, sidenote, maps rather nicely to debate between classical and behavioral economics. Dealing with this reality might mean that instead of investing enormous amounts of time investing in highly detailed plans to sell, we invest an enormous amount of time in data crunching what we are actually delivering through our programs instead of trying to make our work fit some future box we promised a donor. Add to this a better understanding of our respective mission, vision, principles, programs (oops, gonna need some metrics there), social markets, and social justice. These would serve as guides while we adopt shorter-term, more human-centric design thinking principles that accept if people aren’t playing with us and aren’t changing their behaviors (and, I would go one step further – – if they can’t parrot back to us what we are trying to achieve) then our best plans were for nought. The philanthropy marketplace could aid such a re-orientation to more social market-driven and truly impact focused work by understanding, and helping organizations understand, the difference between impact and output. I take umbrage (umbrage, I say!) when someone tries to sell (or worse, succeeds at selling) ‘demonstrable social impact’ based on a bunch of printed leaflets and meetings (even if they were ‘really well attended’). And you’d be surprised how often things like that are sold in a grant simply because you can count them. Sure, they can be great outputs. They might even indicate impact. But they are not ‘impact.’ Impact happens after those things. Impact is not a product, it is a change. It is the enlightened starting or stopping of something. Just because you produce does not mean your product was either consumed or educational. My mom made a pretty good meatloaf but it didn’t turn me into the food snob I am. So yes. We need to count. We should focus on impact. But perhaps we can get better at counting and what really counts (pardon the pun) which might not be the same thing, might mean much smaller numbers than we are used to talking about, and might demand that we invest our time in going beyond simple numbers into a thorough understanding about how we track, measure and understand social, behavioral change. So let’s get to it. What’s your theory of change? How can you prove it hippy? How will you measure it in people change terms? ‘Cause frankly, I want to hear it from them. Not you. NOTE: this is the third in a series of synchronous blog postings with two of my favorite people – read their take @ http://madamadepica.blogspot.roand http://codruvrabie.blogspot.ro. Each week we write on a theme. Feel free to propose a topic.